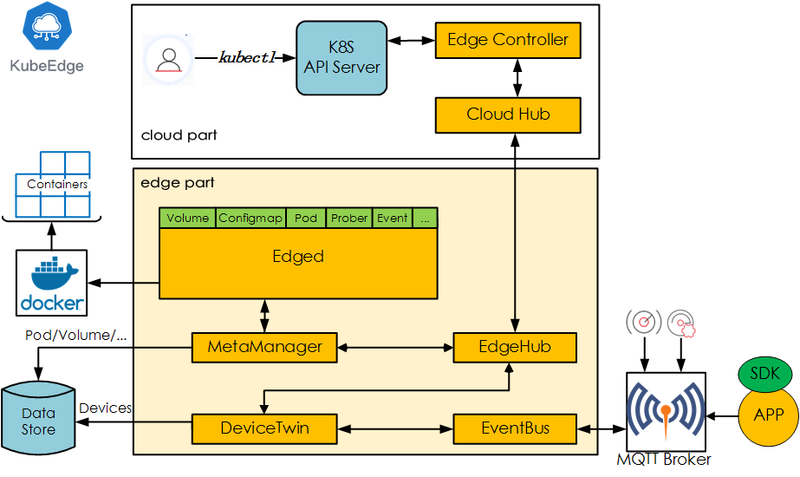 KubeEdge Architecture: Building Kuberenetes Native Edge computing! The core architecture tenet for KubeEdge is to build interfaces that are consistent with Kubernetes, be it on the cloud side or edge side. KubeEdge has a clear roadmap for its upcoming major releases in 2019. vc1.0 targets to provide a complete edge cluster and device management solution with standard edge to edge communication, while v2.0 targets to have advanced features like service mesh, function service , data analytics etc at edge. Also, for all the features, KubeEdge architecture would attempt to utilize the existing CNCF projects/software.